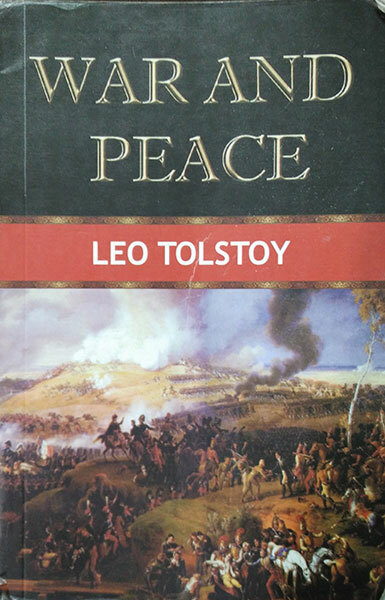 War and Peace by Leo Tolstoy is the second novel I have read from the author, earlier being Anna Karenina. Thing I had loved most about Anna Karenina was the depth of emotions and multiple parallel running stories, which went beyond anything I had read earlier. War and Peace is not only the same, but in a way goes a step further! Set around the time of Napoleon’s invasion of Russia, although the basic theme of the novel is war, it is the stories which occur far away from the battle lines, in the peaceful cities and towns of Russia, which makes up bulk of the story line and in a way showcases the general mood of the public and in particular of the nobles during that time. Once again Leo Tolstoy’s portrayal of human emotions and life situation is impeccable and makes this rather lengthy novel (bigger than Anna Karenina) a joy to read, as the situations keep changing rapidly and there are few if any moments where the story line seems to be going slow or for that matters appears boring. Of course there are times when Leo Tolstoy sets out to counter historians and in particular those who marvel at the genius of Napoleon that the novel seems to become too philosophical, which in particular is true for the second and final epilogue. Overall War and Peace is a fabulous novel to read and is more about life than actual war, so go and read it, you won’t be disappointed.